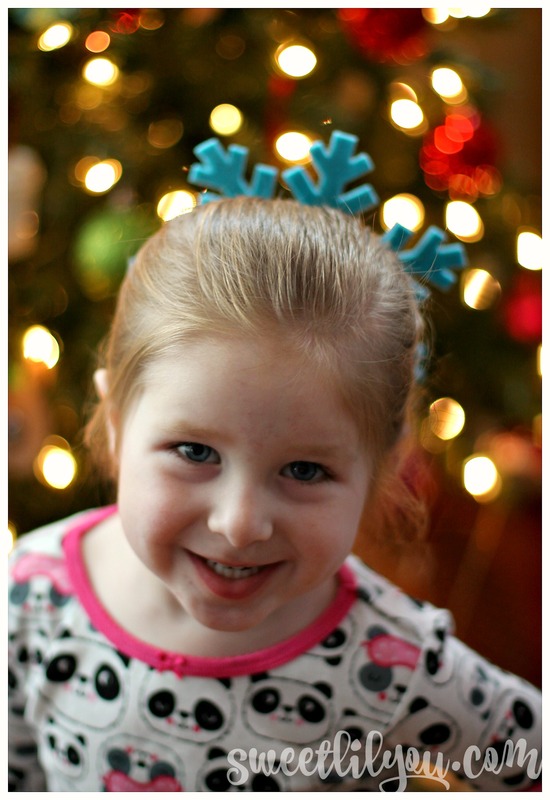 Looking for some fun christmas hairstyles? Here are a few of our creative ideas! So, when it comes to hair styling, I am lacking skills. I can handle pigtails and a simple braid, but beyond that? I’m clueless. That said, I’m always looking for fun and creative ways to style Avery’s hair. 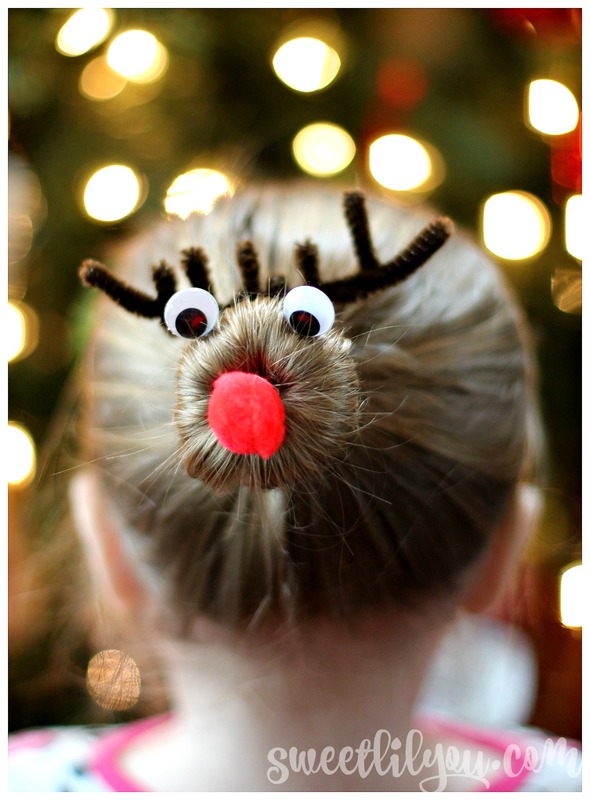 Last year, I saw a cute reindeer bun idea somewhere on the internet. I really wanted to try it on Avery but at the time, her hair was just too short. This year, she had more than enough! This bun is super simple! I use a bun ring, which you can find at Target, or any drug store or store that sells hair accessories. This is the easiest way for me, but you can make a sock bun, or any kind of bun you’d like! I glued the eyes and red pom-pom nose onto small bobby pins and just inserted them into her hair/bun ring. 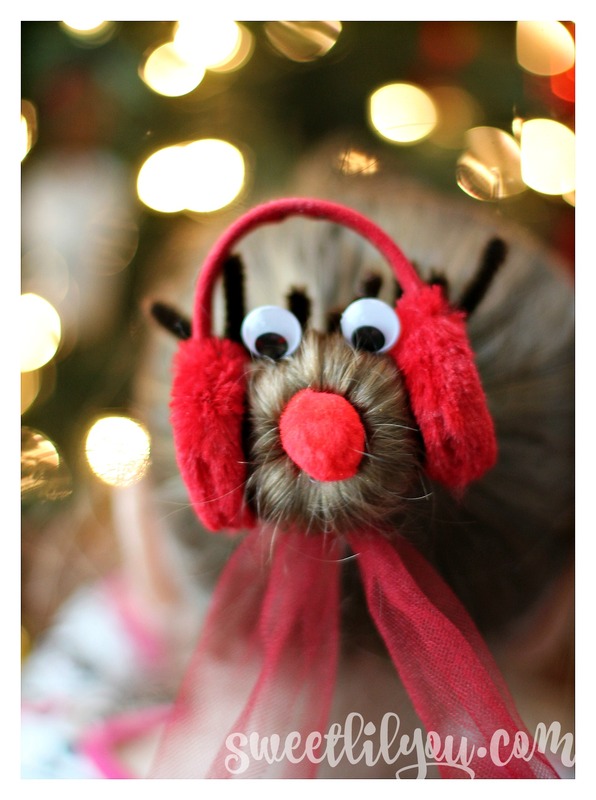 For the antlers I used pipe cleaners and looped them around the bun (You could also cut them shorter and insert into the hair/bun ring) It’s so easy, and absolutely adorable. Avery received so many compliments at school, and out at the mall! Even Santa himself told her he loved it! Frosty The Snowman is made by gluing his hat, nose, eyes and mouth (all cut from construction paper) on bobby pins, and sticking them into the bun. I tied red tulle around the bun to create a scarf. EASY! A holiday wreath is another festive style! Again, the pom-poms are glue onto bobby pins and stuck in. Same with the bow! While taking photos of the other styles, I thought “Hey! What about an ornament?” So I popped the top off of one of our ball ornaments, and stuck it in the bun. It needed something more, so I added pipe cleaners. I stuck them into the center of the bun, then secured them with a rubber band around the back of the bun. 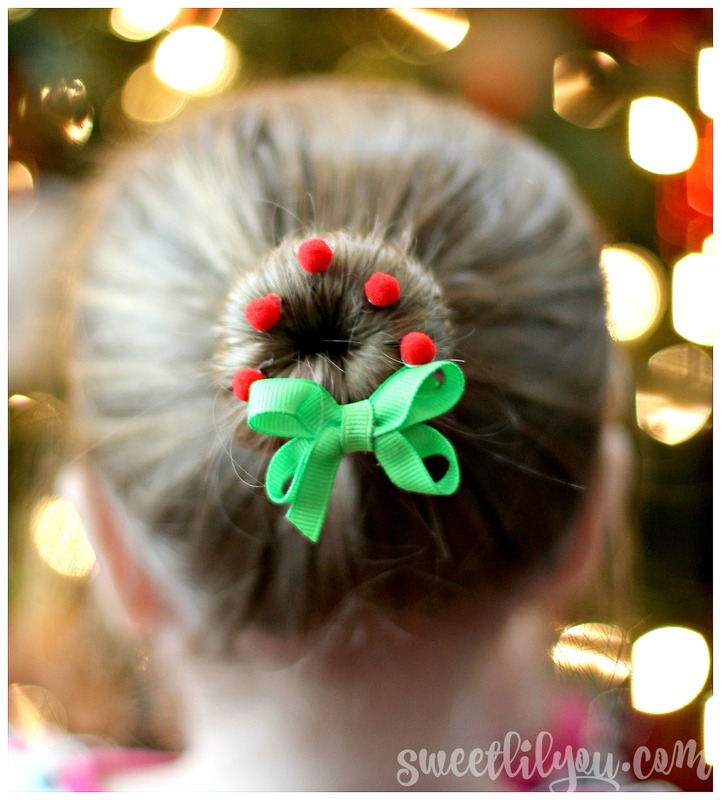 You could also use temporary hair color/hair chalk to make the bun red or green or sparkly! 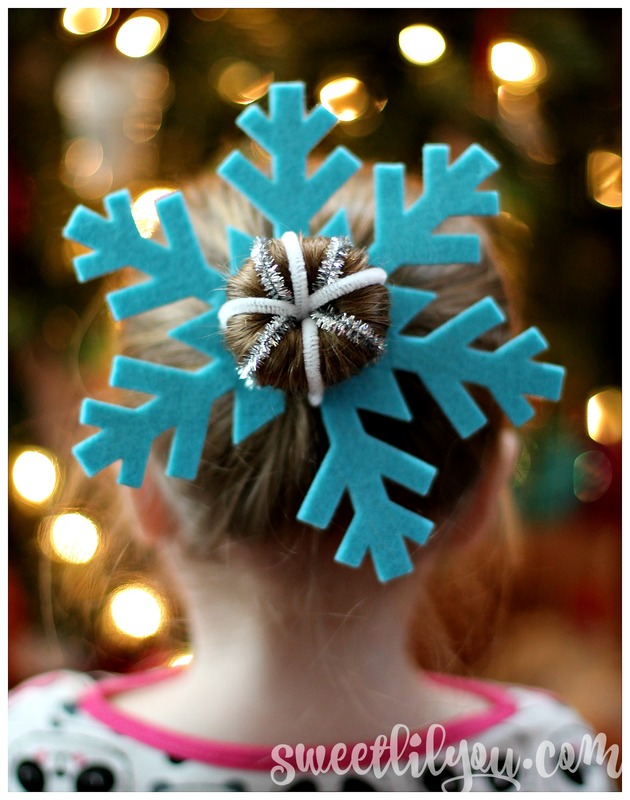 Avery wanted to have snowflake hair, and I happened to have this big felt snowflake left over from another holiday project. I cut a little part out so it could wrap around the bun, and left the pipe cleaners in and VOILA! A snowflake bun! She thought it made her look like Queen Elsa with “Ice Hair” So, what do you think? 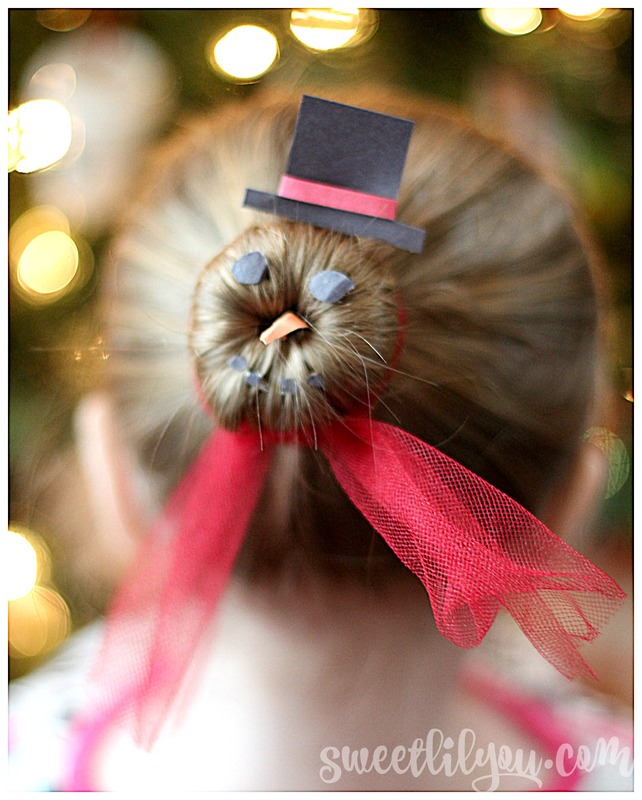 Do you like our christmas hairstyles? Which style is your favorite? Do you have any other fun ideas? 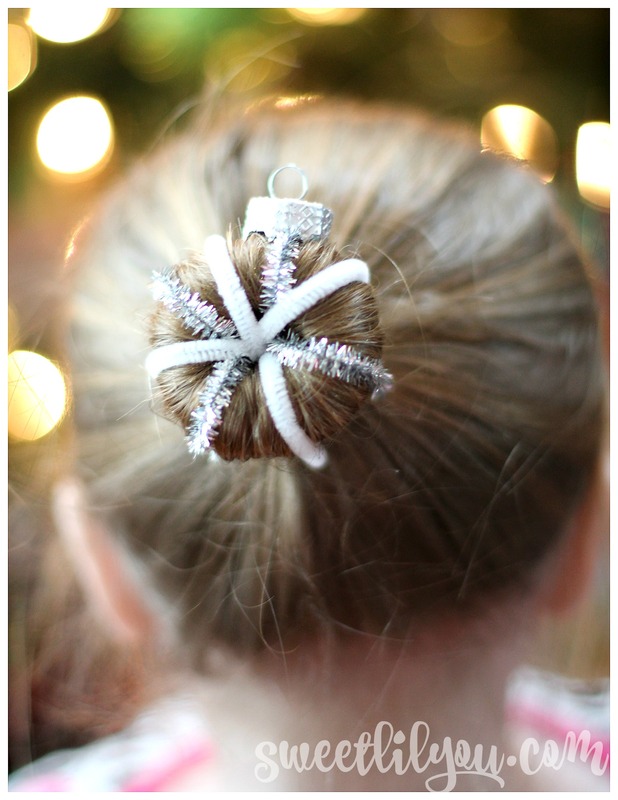 This entry was posted in DIY, style, Uncategorized and tagged christmas, DIY, fashion, hair, hairstyle, holidays, kids, style. These are adorable!! Great job and great photos!! You could probably also do a Santa face! Jennifer D recently posted…The December CVS eNewsletter is Here! Chelley Martinka recently posted…I am, forever, your Milk Mama. You have such a beautiful little hair model! I love all of these styles, I think adding embellishments to childrens hair styles is such a fun and funky way to be creative and kids seem to absolutely adore it. Thanks so much for sharing! These are so cute and creative! You definitely went above and beyond any regular hair style. I especially love the Christmas ornament one.